Johns Hopkins lost a treasured faculty member earlier this month; it is a loss felt far beyond the borders of our campus. Pier Massimo Forni was renowned in academia for his scholarship in the field of Italian literature (he taught Dante and Boccaccio), and more broadly for his work on the history and theory of civility. P.M. Forni was a personal friend as well as a contributor to the Innovative Instructor print article series. He was also the inspiration for Innovative Instructor blog posts on civil behavior in the classroom and the concept of creating a contract with your students (Tips for Regulating the Use of Mobile Devices in the Classroom, October 12, 2012). 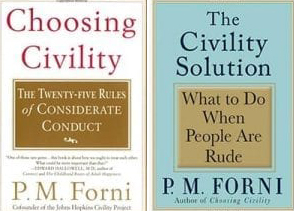 He authored two books on civility: Choosing Civility: The Twenty-Five Rules of Considerate Conduct (St. Martin’s Press, 2002), and The Civility Solution: What to Do When People Are Rude (St. Martin’s Press, 2009). The first book examines the tenants of thoughtful and effective connections with others; the second offers concrete suggestions for dealing with rudeness. If you have not read these books, I highly recommend them as an antidote for the increasing incivility we are encountering in our society today. Moreover, you will find them useful for establishing a climate of civility, respect, and inclusion in your classroom. P.M. Forni wrote two Innovative Instructor print articles for us. In Civility in the Classroom (September 2010) he recommends establishing a climate of relaxed formality, training students to distinguish the trivial from the valuable, selling your product (the topic of your course) and yourself (as a teacher), and stipulating a fair covenant. Creating a Covenant with Your Students (November 2009) expands on the idea of the covenant—essentially a contract that you and your students agree to abide by that clearly stipulates what the students can expect from you and what you as the instructor expect from them. Johns Hopkins and the world have lost a gentle soul. In this holiday season, I hope that all of us will reflect on the virtues of civil behavior and resolve to do as P.M. Forni would do. 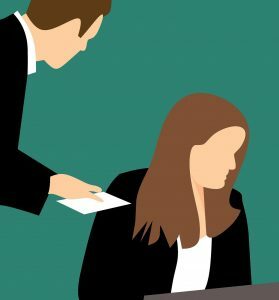 In light of current events, a post covering how instructors can avoid discrimination, harassment, and sexual misconduct seemed relevant. Over the summer I revised the Center for Educational Resources manual for teaching assistants, Making the Difference. The manual lists general teaching resources available at Hopkins – e.g., TA-specific services offered by the library, services offered to students with disabilities, faculty responsibilities in working with such students, etc. Printed copies of the TA Manual are distributed at the TA Orientation in September and a PDF is available on our Teaching Academy website. I’ve taken the following advice from that document with minor changes. The instructor-student relationship carries the potential of becoming grounds for claims of discrimination, harassment, and sexual misconduct because of the inherent power imbalance. Instructors should be mindful of this inequity and maintain appropriate and professional relationships with students. To this end, it is better to be too formal than to be too casual. Dressing professionally, keeping the door open during office hours, otherwise only meeting with students in public places and during daytime hours, and treating all students in the course equally will help create a natural sense of formality. You can help minimize claims of discrimination by making it clear to students that you treat everyone equally. This may sound self-evident, but it is not so simple. Remember that you must maintain a professional relationship with ALL of the students. If some students perceive that you are especially friendly to other members of the class, they are likely to assume that you are discriminating and will not grade objectively. Maintain a professional distance, and be equally friendly with and accessible to all students. Do not get too personally involved with your students, and absolutely do not become romantically involved with a student at your institution, undergraduate or graduate. Due to the nature of power relations in the classroom specifically, and in your department and on campus more generally, a fine line distinguishes romance from sexual harassment, and potentially, sexual misconduct. such conduct has the purpose or effect of unreasonably interfering with an individual’s academic performance or creates an intimidating, hostile or offensive educational environment. Most institutions have an office that works to comply with affirmative action and equal opportunity laws, and investigates complaints of discrimination, harassment, and sexual misconduct. At Johns Hopkins, it is the Office of Institutional Equity; the Office of the Dean of Student Life may also be a resource for instructors at JHU. If you become aware of a discrimination, harassment, or sexual misconduct issue during the course of your duties, you should contact the appropriate office at your college or university. Familiarize yourself with the policies at your institution. At Johns Hopkins, if a student discloses an issue involving discrimination, harassment, or sexual misconduct, an instructor is obligated to report it. Instructors confronted with such disclosures should not promise confidentiality, but should make the students aware of the available complaint process, and refer them to the appropriate office. It is to your advantage to be proactive against student claims of discrimination, harassment, and sexual misconduct. Treat all students equally, be aware of the power you have as faculty and avoid situations where that power is used inappropriately, be professional in your interactions with students, and acquaint yourself with relevant institutional policies and your duties in regards to those. Create a culture of respect in your classroom so that all students can feel safe. This time of year is ripe for blog posts and articles on what to do on the first day of class. There is lots of good advice out there for easy picking. But I especially appreciate guidance that works for the whole semester—tips you can use for instruction in every class. An article in Faculty Focus by Jennifer Garrett and Mary Clement Advice for the First Day of Class: Today We Will (August 23, 2018), meets the criterion. Garrett and Clement advocate for building a positive classroom climate from the first moments of class so that students “feel welcome, comfortable, and engaged.” Making expectations clear can go a long way towards accomplishing that goal. Specifically, the authors recommend creating a “Today We Will” list on the first day of class and for every class session during the semester. This list should be on the board or screen or on a handout where you and the students can see it throughout the class. Questions, wrap-up, preparation instructions/expectations for next class (~5 minutes). 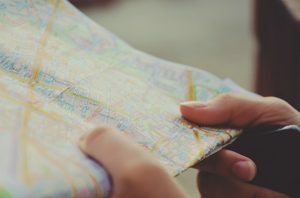 While the authors don’t suggest putting in time approximations, you may find doing so will help set expectations for the students and keep you on track. On the other hand, the authors suggest that leaving some blanks on the list will allow for flexibility. The list should not be thought of as rigid. If you decide in the moment to spend more time on a stimulating discussion rather than cutting students off, you can remove something from the list. On the other hand, if you progress more quickly through an activity, you will want to have some items you can add to the day’s instruction. Students should understand from day one that they are responsible for the material on the day’s list whether or not they attend class. As the instructor, you may wish to post the list on the course website before or after class so that students have a reminder of the important concepts covered. Giving your students a roadmap in the form of a “Today We Will” list is an easy way to get yourself prepared, help your students stay organized, and create a positive classroom climate. You may be into your second or third week of teaching, but it’s not too late to start using this tip. Our last post, Lunch and Learn: Teaching Discussion-based Classes, summarized two faculty presentations at a recent event. One issue that came up during the discussion was how to handle a situation where one student has polarizing views and makes comments that become disruptive to class discussion. If such situations are not handled appropriately, the classroom climate can be negatively affected. 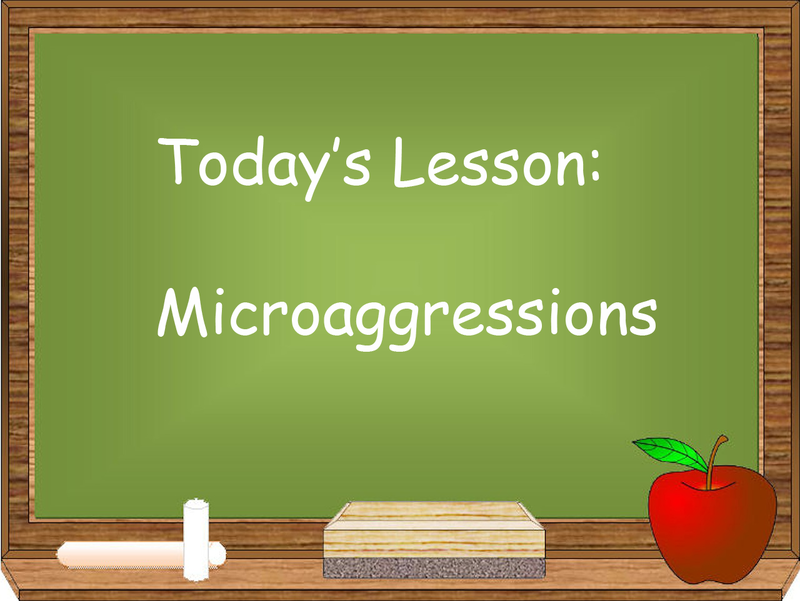 A related circumstance that can have an impact on how students feel about a class is how the instructor handles microaggressions. Because microaggressions are subtle, and sometimes unintended, it can be easy to overlook the harm that is caused. Instructors must be on guard against perpetuating microaggressions, as well as microinequities towards students (such as calling on male students more frequently than female), and be prepared to address students who exhibit these behaviors. The article by Derald Wing Sue cited above, Microaggressions: More than Just Race, is an excellent place to start. Originally the term was coined to describe biases against racial minorities; Sue presents the case that microaggressions are also directed at women, LBGTQ persons, those with disabilities, in fact, towards any marginalized group. In Responding to Microaggressions in the Classroom: Taking ACTION (Faculty Focus, April 20, 2018), Tasha Souza, Ph.D. describes a strategy she calls ACTION for dealing with microaggressions. The acronym describes a “communication framework” and steps to take when a situation arises: Ask clarifying questions. Come from curiosity not judgment. Tell what you observed as problematic in a factual manner. Impact exploration by asking for, and/or stating, the potential impact of such a statement or action on others. Own your own thoughts and feelings around the impact. Take the Next steps by requesting appropriate action be taken. The ACTION framework gives instructors a tool to address microaggressions without escalating the situation. The above referenced document from IUPUI (Indiana University-Purdue University Indianapolis), Microaggressions in the Classroom, provides a succinct summary of ways to create “a space where students can address difference and diversity in productive ways.” Instructors should inquire about the reasoning behind a student’s statement, use paraphrasing to reflect on the feelings and content of the speaker, use “I statements” to clarify your own feelings and remind students to be respectful of others, and redirect and reframe inappropriate comments. There are examples that will be helpful for you in your instructional practice. A number of examples are presented in a detailed document from the Center for Multicultural Excellence at the University of Denver, also titled Microaggressions in the Classroom. The primary focus of this report is on faculty microaggressions and the goal is to help faculty create more inclusive classrooms. Seeing the examples may help you identify biases and correct them. There are concrete suggestions for addressing microaggressions. Finally, Addressing Microaggressions in the Classroom from the Intercultural Center at Saint Mary’s College of California, presents some of the same content as the previous document in a shorter version. 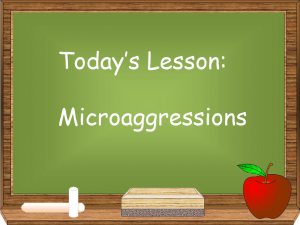 Definitions of microaggressions, examples, and suggestions for addressing the behavior in the classroom are covered in just over two pages. Whether you are dealing with a student who is making polarizing statements, or with the subtler challenge of microaggressions, these resources will help you maintain civil discussions in a positive classroom environment. Our last two posts have focused on diversity and inclusion in the classroom. Today I’d like to offer some resources for another important way to create a positive classroom climate: knowing your students’ names and pronouncing them correctly. A previous post Learning Your Students’ Names [September 6, 2013] will give you some tips for the first part. But making sure you pronounce names correctly can be challenging. Rather than stumbling through the attendance list on the first day of class, you can prepare ahead and know that you will be in the ballpark as you call names. The first resource comes from the K-12 world, but is useful for us in higher education as well. Getting It Right: Reference Guides for Registering Students with Non-English Names (2nd Edition), gives a general overview of the naming conventions in Arabic, Chinese, Hindi, Korean, Russian, Somali, Spanish, Tagalog, Ukrainian, Urdu, and Vietnamese languages. Each section provides guidance such as the number of given names or family names and the order of these names. Forvo is a great web tool to learn how to pronounce words from a wide array of categories including common words, phrases and people’s names. Guiding Tech: 4 Useful websites to help you pronounce names correctly features four possible tools a teacher, parent or student may use to help learn the correct pronunciation of a name they wish to use. Within the article are the links to all 4 sites. How to Pronounce is a great web application to get the audio and text pronunciation, meaning and other information related to wiki pages, synonyms and antonyms for the searched word. Pronounce by VOA News is one of the great free web tools for learning more about pronunciation of places and names. Founded in 2000, this Pronounce tool has a plethora of words and names to find from. 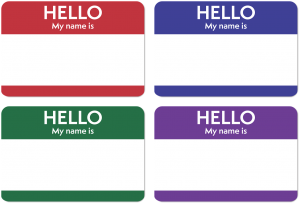 Regardless of your preparation before you take attendance in your first class, you should always confirm with the student that you’ve pronounced their name correctly and determine what name they would like to be called in your class. On Thursday, February 15, the Center for Educational Resources (CER) hosted the third Lunch and Learn—Faculty Conversations on Teaching, for the 2017-2018 academic year. Anne-Elizabeth Brodsky, Senior Lecturer, Expository Writing and Karen Fleming, Professor, Biophysics, presented on Fostering an Inclusive Classroom. Anne-Elizabeth Brodsky led off by describing the Expository Writing program. [See presentation slides.] Students learn in small class settings (10-15 students) how to write and academic argument using evidence. The academic argument is framed as an ongoing conversation—they say (identifies the problem or viewpoint), I say (recognizes a flaw in the argument and establishes a thesis to correct the flaw), so what? (what’s at stake or what’s next? )—to which the student is contributing. The vast majority of her students are in the STEM fields. This is the background for Brodsky’s introduction of diversity and inclusion in the classroom. Students bring their complex identities and a sense of whether or not they feel they belong on campus to the classroom. Brodsky seeks to make sure that her curriculum includes reading diverse authors. Students are given a number of choices for each major writing assignment so that they can find something that interests and speaks to them. Additionally, students do informal writing on topics fincluding What is College For? Learning (science of learning, recent research, advice), School (campus life, student realities, ideas for redesign), Stories—why they matter, Words (language change, texting, big data). For each topic area Brodsky identifies a number of articles that students can choose from to read and write a response. She tries to make topics current and relevant, and to be flexible, for example, after the death of Freddie Gray in April 2015, “I offered my students supplemental reading. I hoped to show how the JHU community engaged in local, ‘real-life’ struggles with rigorous, historically responsible, and creative thinking.” She encourages interdisciplinary conversations so that students don’t shut themselves off from possibilities. Brodsky works with students who are afraid of writing and finds that different approaches work for different students. She is an advocate of Universal Design for Learning (UDL). In the classroom she practices eight ways of teaching. Giving students permission to fail successfully. The writing process is all about drafts and revisions; students learn that their first efforts may not work well, but they can learn from mistakes and rewrite. Using color highlighting while reading, by Brodsky and the students, to understand how an academic argument works. Learning to analyze and interpret by practicing describing things in different ways. Employing different ways of talking and discussing in the classroom. Students prepare elevator talks, engage in think/pair/share activities, anonymously share worries and wishes on index cards, and write questions to establish knowledge. Crafting a succinct “elevator pitch” to streamline their own academic argument. By engaging in inclusive teaching practices, Brodsky has given her students the freedom to learn. Fleming noted that 99% of our cognitive processing uses unconscious reasoning. Unconscious bias stems from our experiential expectations; bias being an error in decision making. Expectation bias is grounded in stereotypes such as women are not as good at math or spatial learning; Hispanics and African Americans are lower achieving than Whites; Hispanics, African Americans, poor, and obese people are lazy; male athlete are jocks (muscular but not smart); Asians have higher math abilities; and blondes are less intelligent than brunettes. Stereotypes are cultural and both faculty and students have biases. Fleming described a research study on science faculty and unconscious bias [Moss-Racusin et al. (2012) “Science faculty’s subtle gender biases favor male students” PNAS 109: 16474-79.] The study was headed by Jo Handlesman, Professor, Department of Molecular, Cellular & Developmental Biology, Yale University. Fleming walked through the study details, noting that the institutions selected—research intensive universities—were geographically diverse, the demographics on faculty participants agree with national averages, and it was a randomized double-blind study (n = 127). Science faculty in biology, physics, and chemistry were asked to rate the application of a student for a lab manager position in terms of competency and hireability. Faculty participants were randomly assigned an application with a male or female name—the applications were otherwise identical and designed to reflect high but not outstanding qualifications. Both male and female faculty participants showed gender bias by rating the male applicant as significantly more competent and hireable than the female applicant. They were willing to offer a significantly higher starting salary (and more career mentoring) to the male applicant. And, perhaps surprisingly to women in the audience, both female and male faculty were equally likely to show gender bias favoring male applicants and to offer the female candidates a lower salary. One possible explanation? 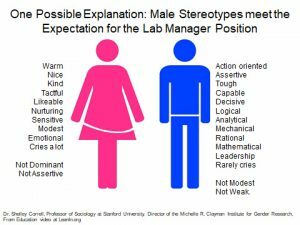 Male stereotypes meet the expectation for the lab manager position. Expectation bias occurs when we hold different groups accountable to different standards. When a man performs well in a traditional male-type task, this performance is expected. When a woman performs well in a traditional male-type task, this conflicts with stereotypic expectations. As a result, her performance is closely scrutinized, and she is required to repeatedly prove her competence. We can check our biases using tests set up by Project Implicit. “Project Implicit is a non-profit organization and international collaboration between researchers who are interested in implicit social cognition – thoughts and feelings outside of conscious awareness and control. The goal of the organization is to educate the public about hidden biases and to provide a ‘virtual laboratory’ for collecting data on the Internet.” Look for tests on bias concerning gender, race, religion, disability, age, sexuality, weight, skin tone, and more in the Social Attitudes section. Fleming then discussed the issue of stereotype threat. For students, performance in academic contexts can be harmed by the awareness that one’s behavior might be viewed through the lens of stereotypes. And, culturally-shared stereotypes suggesting poor performance of certain groups can disrupt performance of an individual who identifies with that group. She referenced a study done by Steele and Aronson in 1995 [CM Steele and J Aronson (1995) Journal of Personality and Social Psychology 69: 797-811.] At Stanford, 114 undergraduate students volunteered for the study. They were given a test composed of Verbal GRE questions. First they took a test that was presented as diagnostic, a measure of intrinsic ability, and then a test presented as non-diagnostic, a laboratory tool for studying problem solving. The results showed that invoking stereotype threat (diagnostic test) affects performance of students who identified as African-Americans in an evaluation setting. Further, having to identify their race before taking the test, “race-priming,” increases the results of stereotype effect on performance in an evaluation setting. How can instructors be more inclusive? Fleming offers these suggestions. Pay attention to group dynamics (especially compositions of small groups). As both Fleming and Brodsky reminded the audience, instructors can change the way they teach to be more inclusive, identify their biases, and work to establish a positive classroom climate. 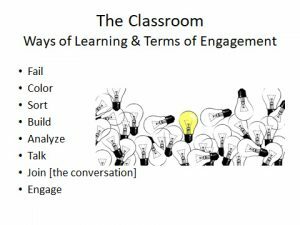 What do we mean when we talk about classroom climate? Classroom climate can be defined as “…the intellectual, social, emotional, and physical environments in which our students learn. [Ambrose et. al. How learning works: Seven research-based principles for smart teaching. Jossey Bass. 2010.] 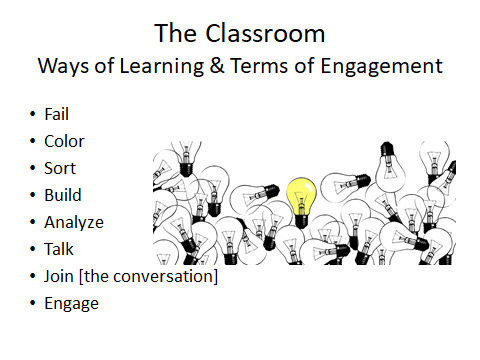 How you, as an instructor, choose to interact with students in your classroom will affect the classroom climate. The Center for Teaching and Learning (CTE) at Cornell University provides an overview of the factors that teachers should consider in thinking about classroom climate. Not only must we be aware of blantant biases in dealing with students, but also the micro-inequities, small but significant interactions that have a negative effect on students. The Cornell CTE discusses the factors that play into creating a negative or positive climate (sterotyping, tone, interactions, and choice of content) and offers examples of ways to access and improve your classroom climate. In a recent (September 2015) video produced by The Chronicle of Higher Education, ‘Ask Me’: What LGBTQ Students Want Their Professors to Know, “transgender and gender-nonbinary students share what keeps them from feeling safe and thriving on campus.” These students give us personal and powerful statements on how we can improve their classroom and campus experiences. The video is about 12 minutes long, and covers the recognition of the range of gender identities, use of preferred names over birth names, the use of pronouns, the need for resources and staff deticated to LGBTQ student life, and restroom and housing issues. The message is that by asking about preferences we can make a difference for all students. Last, but certainly not least, I recommend watching a video produced for the 2014 MOOC An Introduction to Evidence-Based Undergraduate STEM Teaching. This course is being offered again this fall by the CIRTL (Center for the Integration of Research, Teaching and Learning) Network. The video is also available throught the Vanderbilt University YouTube site. In The Affective Doman: Classroom Climate (25 minutes), Dr. Michele DiPietro, Director of the Center for Excellence in Teaching and Learning at Kennessaw State University, discusses the many aspects of classroom climate and the importance for student motivation and learning. Dr. DiPietro covers a lot of ground in his presentation. Especially valuable, he makes us aware of the fact that even the best-intentioned instructors may be unaware of the ways in which classroom climate has consequences for their students. He cites a 1994 study by DeSurra and Church, [Unlocking the Classroom Closet: Privileging the Marginalized Voices of Gay/Lesbian College Students], that demonstrates that faculty frequently rate themselves higher on a continuum representing creating an inclusive versus marginalizing classroom climate than their students do. How can faculty do a better job? DiPietro suggests that we start by examining our assumptions, which can be a difficult task as we are often blind to our own preconceptions. He advocates learning and using students’ preferred names, modeling inclusive language, using multiple and diverse examples, establishing ground rules for interaction, striving to be fair, not asking people to speak for an entire group that they may or may not actually represent, and being aware of micro-inequities. By the end of DiPietro’s presentation, we will understand not only why it important it is to access classroom climate, but what we can do to create the best possible learning environment for all students.